2017 is Finally Here. Is It Time to Update Your Bindery Equipment? 2017 is Finally Here. Is It Time to Update Your Bindery Equipment? New finishing equipment might be a worthwhile investment for 2017. 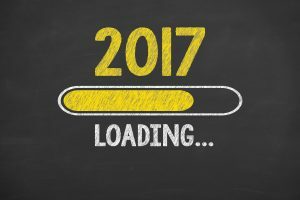 With 2017 finally upon us, it’s always worth examining how one can improve their business. If you’re using old, dated printing and bindery equipment, you could stand to gain a lot by updating it. Duplo USA recommends upgrading equipment at least every five to eight years due to increased efficiencies and automation features. While well maintained bindery equipment can last a very long time in service of a print shop, there comes a point when every piece of equipment needs upgrading or replacing. Most older machines will remain dependable with ongoing maintenance, but efficiency is a consideration that shouldn’t go overlooked. If your business is looking to meet stringent deadlines and earn money in the process, new finishing equipment is a wise investment. The machines of yesteryear are woefully inefficient compared to contemporary equipment. If your business is looking to maintain or gain a competitive advantage, having the right post-press finishing solutions can play a huge role in realizing your business’s profit-earning potential. Even in the past five years advancements in technology have led to the development of new solutions for equipment. Modern equipment tends to have superior modularity, accessibility, and comes in a wider variety of products that can utilize variable data print technology and reduce make-ready time. In short, modern post-press finishing equipment can do more, faster, and with less user input. Conversely, investing in older refurbished equipment may not be worth it due to the scarcity of parts and qualified technicians that can service it. When planning to update your finishing solutions, consider that one-to-one replacement of equipment and systems with similar capabilities is not a particularly wise investment. Rather, you should take into account growth plans and any amount of work that is being outsourced due to lack of equipment capabilities. Also consider how you can expedite make-ready time by increasing automation, product flexibility, and ease of maintenance and performance. This entry was posted on Thursday, January 5th, 2017	at 2:38 pm	and is filed under New printing equipment	. You can follow any responses to this entry through the RSS 2.0	feed. Both comments and pings are currently closed.